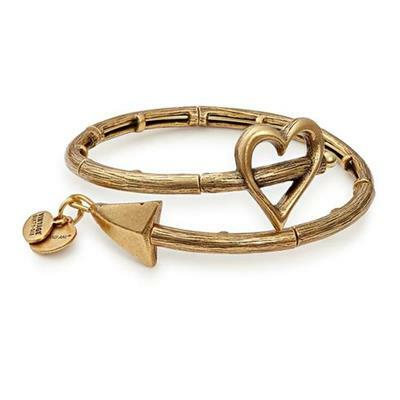 The Love is in the Air collection by Alex and Ani celebrates the all-encompassing power of love. Whether you have a new flame, or a life-long soul-mate, these connections are more than mere coincidence: open your eyes to a world of fate, serendipity and romance with this romantic collection. Traditionally, the arrow symbolises a strong sense of direction and clarity of intention. With its straight flight, the arrow evokes integrity, focus and achieving your goals.This wrap reminds the wearer to remain determined, with their eyes on the prize.